All Posts Tagged With: "Clinique"
NEW Beauty Products On The Block. 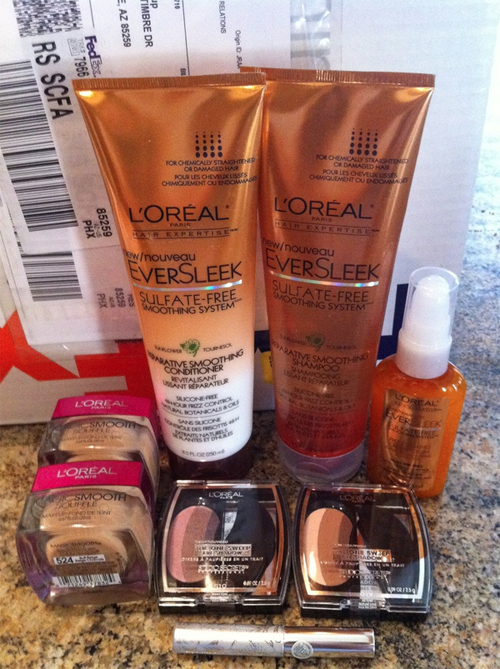 New beauty products excite me. In fact that’s what makes me a beauty junkie you see. The thrill of trying new products and maybe even finding The One. The latest has just landed the Marta Walsh’s desk. Here’s a sneak peek. Mostly by L’Oreal Paris introducing EverSleek Sulfate-Free smoothing system Preparative Shampoo, conditioner, and EverSleek Frizz Creme Serum. Smells green melon and white rose and fantastic and works as good as salon brands. Also in the collection, L’Oreal EverSleek Intense Smoothing version. Another favorite is L’Oreal New Magic Smooth Souffle Makeup Foundation, so light so easy to apply, great wearable shades, it’s a keeper. It’s an air-whipped, oil-free foundation. This is part f L’Oreal Studio Secrets collection inspired by backstage beauty and their very talented makeup artist James Kaliardos. 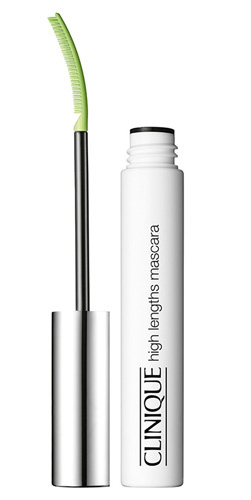 Meet my new love: Clinique All about Eyes Serum de-puffing eye massage roll-on, $25.50. The stainless steel roll-on applicator is one of its best features: it is cooling, the gentle rolling motion increases circulation under eye, and it is also hygienic. This eye serum is formulated with calming ingredients, such as: Caffeine and potent anti-oxidants all to help reduce the appearance of puffiness, or in Marta’s case, dark circles. Better yet, it fits perfectly in my makeup bag or my purse. Can be applied morning, night and as needed throughout the day. I often get asked which products to use to help reduce the look of dark circles or ‘party eyes’. Well, Clinique All About Eyes Serum is one of my favorites. Clinique High Lengths Mascara NEW, $14: This new mascara by Clinique make my lashes long, defined, and beautiful. It gets the smallest lashes at the lower lash line. It’s a lengthening mascara, not so much for volume. Gabourey Sidibe Oscars 2010: The Makeup. Celebrity Makeup Artist Toby Fleischman created Gabourey Sidibe’s Oscars 2010 makeup look. “I had the honor of working with Gabourey Sidibe yesterday for the Oscar…It was Gabby’s big night after a long 14 month promotion of “Precious” so we really wanted it to be all about her. After seeing the magnificent Marchesa gown, it was an easy choice as to what her make up look should be – keep it simple and toned down so she could shine with her amazing spirit and beauty. MAC Studio Fix Fluid keeps Gabby’s skin looking creamy and gorgeous and it’s matte quality works to keep the shine down. We wanted a soft metallic eye to pick up the jeweled accents on the dress. 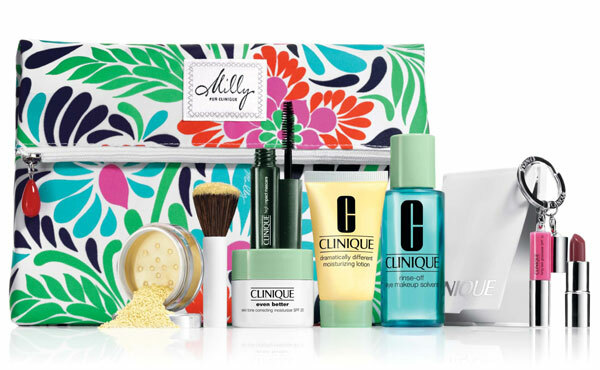 I had the pleasure meeting Milly’s designer Michelle Smith at the Milly for Clinique Cosmetics Bag launch party at Bloomigdale’s 59th street in New York City. I was also lucky to see a fashion show presenting the fabulous Milly designs. I was in love with the clothes. The Milly collection was cut for the elegant woman yet a woman that is adventurist, likes to be outdoors, and enjoys life. Very Jackie O. Very feminine and pretty. When photographing with Michelle we both looked at each other and said at the same time. Michelle to Marta: I love your T Shirt. Marta to Michelle: And I love your dress. Getting a compliment from a fashion designer feels amazing. Watch Marta’s vlog as she takes you through her must-have beauty products to look out for in Spring 2010! I’m excited to share with you my interview with actress Kali Hawk. Kali’s film role came in the Lion’s Gate thriller ‘Holla‘, which cast Kali alongside Michael Bergin as the sweet, unsuspecting camper Caprice. She would follow that project with a supporting role in the Spike Lee comedy ‘Lovers & Haters’, playing a scathing Hollywood diva opposite singer/superstar Mariah Carey. On television, she has also appeared on the hit CW sitcom ‘The Game’, executive produced by Kelsey Grammer. Kali’s recent film roles include: Trudy in ‘Couple’s Retreat’ next to Vince Vaughn, Malin Akerman, and Kristen Bell. And her role as Chantal in Judd Apatow’s film ‘Get Him To The Greek’ next to Russell Brand, Jonah Hill, and Sean ‘P. Diddy’ Combs. In this interview Kali Hawk talk to Marta Walsh about when she has found her love for movies and acting. What was it like on the set with Mariah Carey in Spike Lee’s film: Lovers and Haters. Her dream acting role. What’s in her makeup bag and future plans. Chatting with Kali was such a pleasure. She was sweet, funny and witty. I would like to thank you Kali for taking the time to talk to me! Marta Walsh: Where is your hometown? Kali Halk: I’m based in LA these days but I’m from New York originally. My family has been in New York for at least 150 years. My mom and I were born in Manhattan; my dad was born in the Bronx. My grandmother went to Hunter College when it was still an all girl’s school. I didn’t like LA at first naturally. But now that my professional and social network has been expanded I’m starting to love it more. 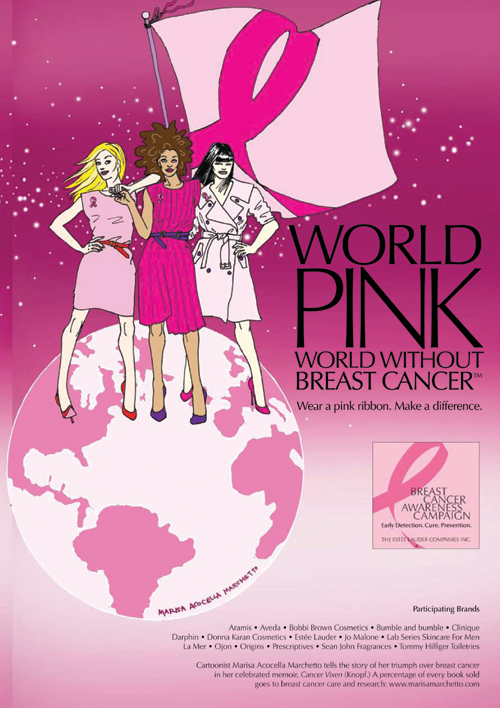 It’s Breast Cancer Awareness month aka BCA and the Estée Lauder Companies has many of your favorite beauty products designed especially to raise funds for the Estée Lauder Companies’ Breast Cancer Research Fund. 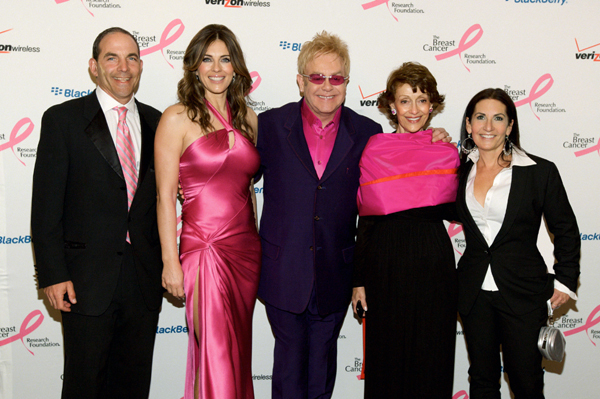 Last month during my visit to New York City during Fashion Week Spring 2010 I was given an incredible opportunity to participate in an Estée Lauder special Breast Cancer Awareness event. Listening to Evelyn Lauder’s speech and the rest of the Estée Lauder team I can’t tell you enough how passionate they are about the Breast Cancer cause!! Here are highlights of some of the people involved in the Estée Lauder Breast Cancer Awareness Campaign and And Fundraising, and the beauty products you can purchase where portions of their proceeds go towards the Breast Cancer Research Foundation.